have different impact on evaluation if hospitalization in internal medicine department is possible or not. 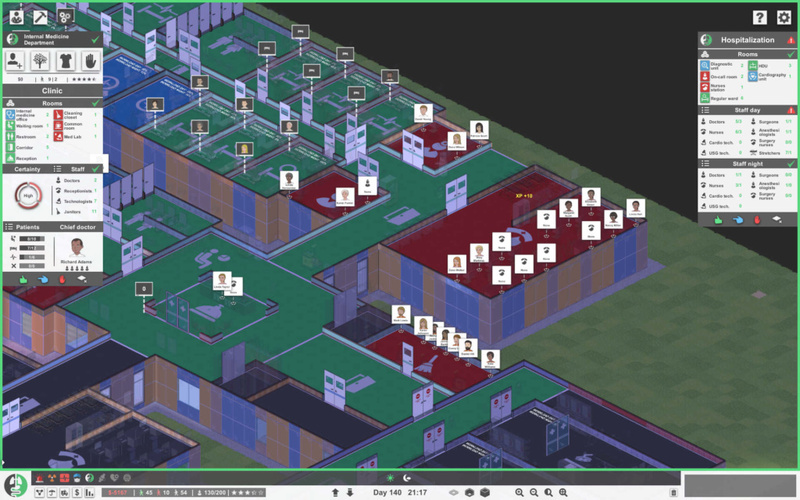 Game reports that everything is fine and hospitalization is allowed and working - patients come and they are hospitalized. 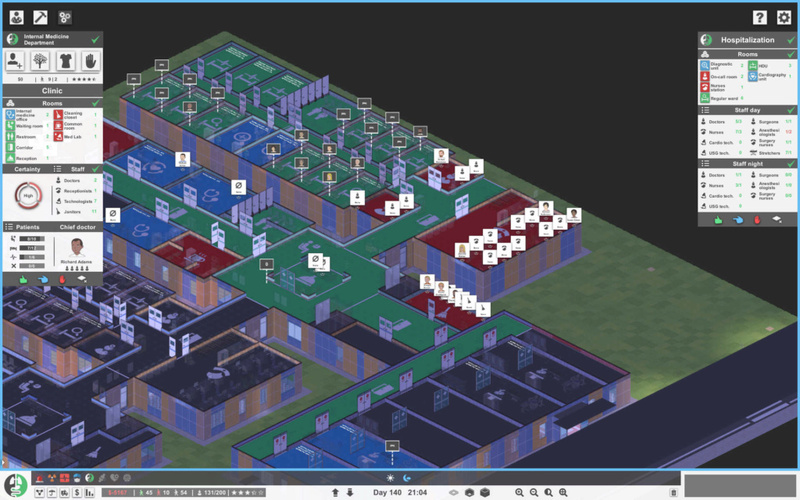 I also tried to set MinStretchers to 0 and remove all stretchers from internal medicine department. And game reports that everything is fine and hospitalization is allowed, but patients cannot be transported. It seems that MinStretchers value and current count of stretchers in internal medicine department is not "must have" condition. 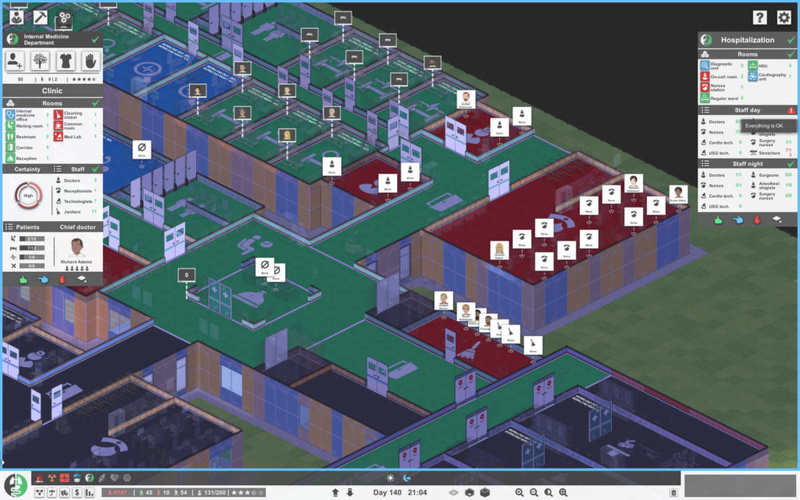 After firing nurse, game reports "Missing required staff", but (as you can see in screenshot) everything is green (correct). I tried to do same with MinSurgeonsDay (fired chief surgeon) and MinAnestezilogistDay (fired anesthesiologist) with same results (each change was separate, I always reverted previous change to original state). It seems like MinSurgeonsDay, MinAnestezilogistDay and MinSurgeryNurseDay values are always at least one (hardcoded?). I have missing anesthesiologist (required 2, I have only one), but game reports that everything is fine. I didn't test if hospitalization is available and working. I assume that same behavior (not tested) is with MinSurgeonsDay and MinSurgeryNurseDay set to 2 (or higher). From my observation, the values in MinSurgeonsDay, MinAnestezilogistDay and MinSurgeryNurseDay are not correctly evaluated or evaluation rules about hospitalization are hardcoded and values in MinSurgeonsDay, MinAnestezilogistDay and MinSurgeryNurseDay are only for visual purposes.